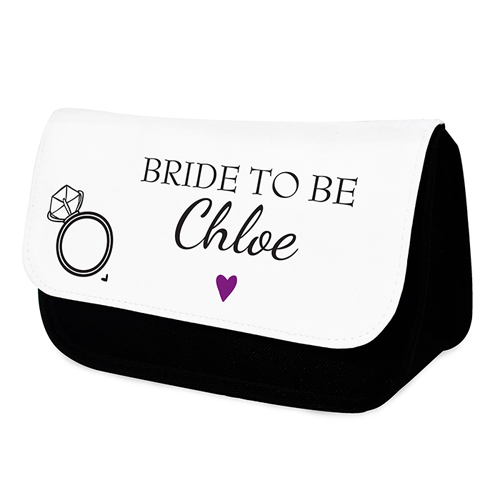 Our diamond ring makeup bag is a wonderfully unique gift for her. Line 1 will appear in UPPERCASE. Line 2 will appear as entered and is case sensitive. Please refrain from using BLOCK CAPITALS on line 2 and special characters as this may impair the quality of the personalisation.